Sam Gliksman has been leading innovative technology applications in private industry and education for over 25 years. Recognized as a prominent expert on technology and educational reform, he currently works as an independent educational technology consultant, speaker and author. Sam has been a pioneer in promoting the use of mobile technology in education. He has consulted with small schools all the way up to school districts and governments, most recently having been invited to meet and personally consult with the Prime Minister of Greece in Athens. 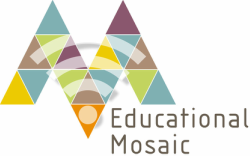 Sam's "iPads in Education" website – http://iPadEducators.ning.com - has a membership of thousands of educators worldwide and is recognized as a leading source for the use of mobile devices in education. Acknowledged as an expert on the subject, Sam was contracted by Wiley Press to write the definitive "iPad in Education for Dummies" book which was released in late January 2013. 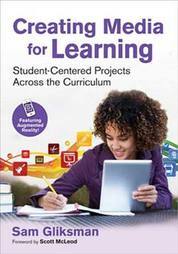 The book has already been hailed as a primer for anyone interested in the educational applications of mobile technology. Some of the book reviews are listed in the column on the right. Sam speaks at conferences nationally and internationally and gives workshops about the changing nature of education in the digital age. He has recently spoken at conferences and private events domestically and internationally in locations such as Greece, Turkey, South Africa, Australia and New Zealand. The common thread woven throughout Sam's presentations is the need to weave technology use into a more holistic pedagogical approach that addresses the needs of students in the 21st century. Passionate about the need for educational reform, Sam is available to speak to audiences on a wide range of topics. "I was really excited when I left. Great examples"
Media creation is becoming a staple of modern communications. Creating Media for Learning shows how student media projects are key to enhancing learning and demonstrating knowledge. "Sam Gliksman took what could have been a 'tap here, tap there' book and created a professional development book that explains how to effectively integrate tablet technology in the classroom"
"...bursting with useful tips, techniques, strategies, and reminders. You’re learning from the best: Gliksman’s longtime expertise with iPads in schools makes this an extremely valuable resource for any educator"
"Sam Gliksman achieves something often missing in ‘How To’ books: He combines a powerful educational vision with down-home practicality"